Autumn Colors, originally uploaded by bill kralovec. 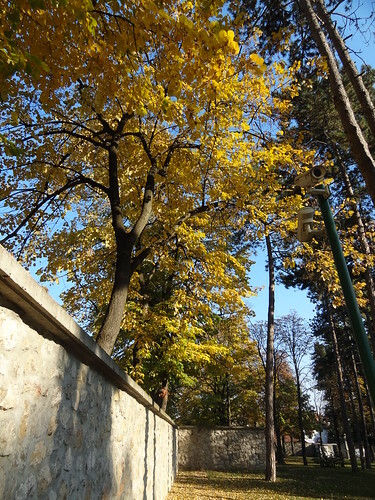 We are in the peak color season in Belgrade. In Europe, as opposed to my birthplace of Michigan, the colors are mostly yellow. The theory goes that there are more tree species in North America that gives more colors and the ice age killed more of red-producing pigment trees in Europe than in North America. Despite not having the reds and oranges, it is still a beautiful time of year. Above is a photo of a wall at our school. It was great this morning. I was walking with Ocean to our car and she said, “it is leaf day today.” There were leaves literally falling all over the drive way. It has been great to experience the change of seasons, especially for the kids. 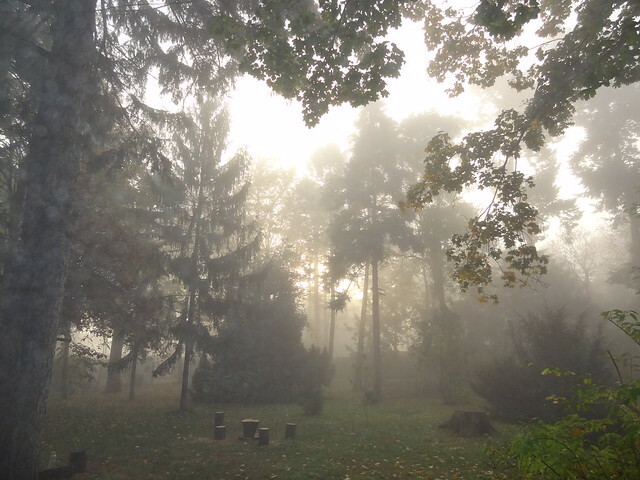 It has also been foggy this week in the mornings. Below is a photo of our yard yesterday morning.